A question we’re often asked is, “Can I work while I’m in the program?” And our answer to that is always that it depends! What we can handle varies person to person, therefore what you decide to take on while you’re in the program will depend on your preferences. That being said, our program is considered to be full-time and is enough to keep most people pretty busy! If you do want to get involved, however, there are plenty of great opportunities to get involved on campus! Jessica, my fellow student ambassador, recently touched upon some of the professional and volunteering options you have. The organizations and clubs are diverse in what they address, and I feel like there is something for everyone out there. In addition to those options, you can also apply for a paid job within the division! The beauty of student worker positions is that they are relatively flexible, and everyone at USC is cognizant of the fact that we’re students! In addition to my student ambassador position, I’m also a student worker on one of the many research projects happening here at USC, called the Sensory Adapted Dental Environment 2 (SADE-2). I have learned so much in this position in my short time in the program, and I feel like I have a much better grasp on what a career in research entails. Overall, my number one piece of advice for students that are wondering whether to get a job or participate in clubs/organizations is to make sure to have balance. This is something that everyone strives for and is difficult to achieve while in graduate school. Ultimately, only you know yourself best, and only you know how much you can handle, so just make sure you listen to your body! And most importantly, remember to enjoy the ride. I’ve recently made the move from Redondo Beach to Downtown LA in order to be closer to campus, and I couldn’t be happier. I never thought of myself as someone who could thrive in a bustling city, yet I find myself falling in love with the city more and more every day. Aside from being closer to campus, I get to do a lot more walking, which has been great for both my physical and mental health, especially since life has become more sedentary sitting in class for most of the day. Whether I’m going to the grocery store, checking out a new restaurant, or visiting a museum, I try to get there on foot as often as I can. Not only am I burning some extra calories and releasing some much-needed endorphins (to counteract the stress from grad school), I’m also avoiding the notoriously awful LA traffic. No matter how you look at it, it’s a win-win! Downtown LA has grown tremendously in the last decade, and I feel like I’m hearing about a hot new restaurant or bar that’s just opened up every week! I’m subscribed to Thrillist in Los Angeles, which sends me updates on all the new stuff going on in LA, including downtown. I highly recommend subscribing if you’re looking for fun new things to do! Kaitlyn, who was one of the student ambassadors last year, made a terrific list of some of her favorite places to eat in all of LA and some were here in downtown! I wanted to go a bit more in depth and share some of my favorite places to eat, as well as some other great places to check out here in downtown and the surrounding area. - Perch: this restaurant has some of the best views in downtown LA, the food is great, and the cocktails are amazing! An added perk is that the space itself is beautifully decorated and totally Insta-worthy. I love to go for brunch on a sunny weekend in LA. - Preux & Proper: I just went to this place last weekend after having it on my list of places to check out for months, and I’ve got to say it didn’t disappoint. The dishes are family-style, so going with a group of friends is perfect! Like Perch, the décor is awesome and unique, which adds to the experience. - Bar Ama: This is one of my favorite places to go to for delicious Mexican food. Being Mexican myself, I love their twist on traditional plates. Tip: they have a “Super Nacho Hour” from 5:30pm-7pm on weekdays, which is their version of a happy hour. You can get discounted food and drinks, including their super nachos! - Zinc Café in Arts District: For all of my vegetarians out there, this is a great place to go for delicious food and a ridiculously cozy atmosphere (see my picture below!) It’s a little hidden gem in the Arts District that has delicious food like wood fired pizzas and veggie pastas. 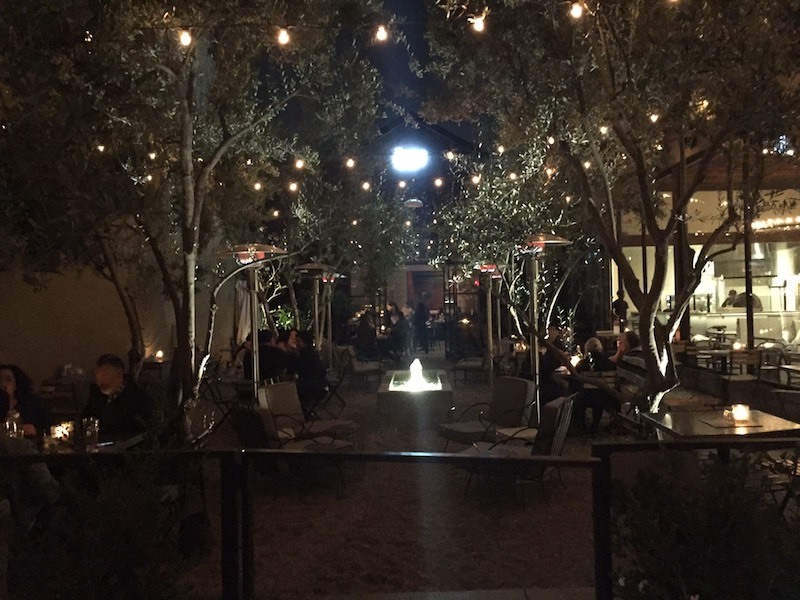 Grab a table outside under the lights on a warm LA evening and you’re set. - The Last Bookstore: I personally love a good book. This was one of the spots I was dying to go to when I first moved to Los Angeles and it did not disappoint! Not only does it have an extensive collection of books on sale, it also has so much character and is uniquely decorated. There are plenty of fun photo opportunities as well, and for my music lovers, they also sell records! - The Broad Museum: This museum is a must-see. 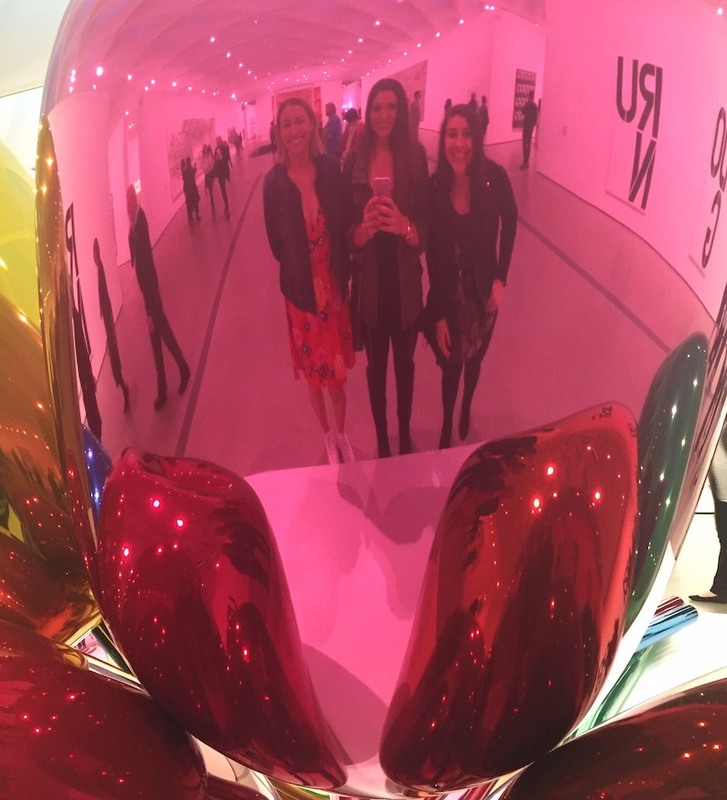 It has one of the largest collections of post-war and contemporary art in the world, and they constantly have different exhibitions on show. One of the most memorable for me was the infinity room! Another great thing about this museum is that admission is free, which is always appreciated as a student. 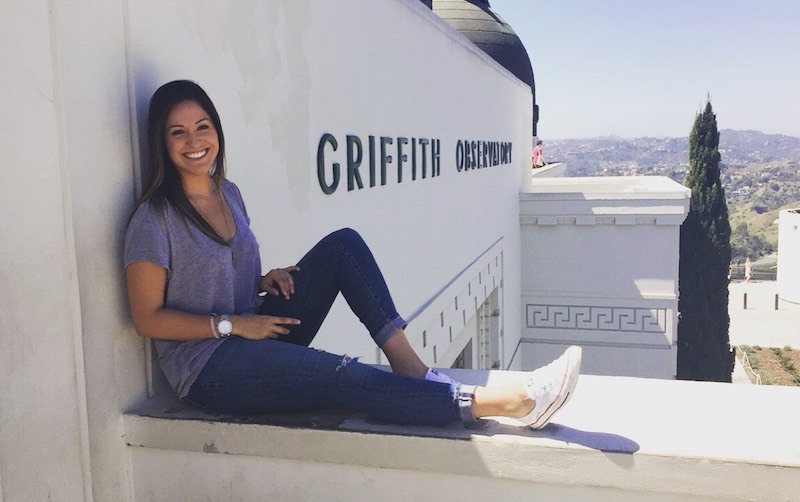 - The Griffith Observatory/Griffith Park: I’m an avid hiker, so going to Griffith Park allows me to engage in that meaningful occupation and swing by the Griffith Observatory if I want to. The park offers an abundance of trails to go on (ranging from easy to hard) and the observatory offers some amazing views of LA and fun shows to watch! - Street Food Cinema: STF offers a variety of different movies at the park and it is one of my favorite things to do here in LA! The parks are all over Los Angeles, so if you don’t live near downtown, don’t fret! In addition to the movie, there’s a band that plays while the sun goes down, and there are a variety of food trucks parked nearby that offer delicious food! However you can always bring your own food and beverages and have a nice picnic. I’m awful at taking pictures but I’m making a conscious effort to take more from now on so that I can share them with all of you! This is just the tip of the iceberg, so feel free to reach out for more recommendations! Happy exploring! How I Fell in Love With OT! Hey everyone! As my first post, I thought I’d share a bit about how I ended up at USC studying occupational therapy! I’ve always known that I want to work in healthcare — I was actually studying to become a nurse when I first learned about OT! After my grandmother was diagnosed with cancer, I helped my family care for her. She suffered some nerve damage as a result of her radiation treatments, therefore she was referred to an occupational therapist in order to restore some function and increase her independence. It was then that I was first exposed to the profession, and I fell in love with its holistic approach. The therapist was kind enough to answer all of my never-ending questions — as my interest increased the more I learned about it — and I immediately went home to do some additional research. Soon after, I made the decision to pursue occupational therapy, and I began to volunteer in different settings in order to increase my exposure, as well as to see if OT felt like the right fit for me. Some of those settings included a hand therapy clinic, an elementary school classroom, an outpatient pediatric clinic, and hippotherapy. Despite the differences in the settings, I realized that occupational therapy offers a unique lens in the healthcare industry with its holistic approach. Fortunately, I can say with confidence that I have had no doubts about my career choice since embarking on this journey. This year, I have learned more about this field than I could have ever imagined, and I’ve realized that the possibilities about what you can do with a degree in occupational therapy are endless! I’m excited for what’s to come, and I can’t wait to share the rest of my journey with you guys!